The story of Finnish thrash/speedmetal sensation DIVINE:DECAY started in 1999 at Helsinki, Finland by ALEC (Suburban Tribe/drums) and PAUL (Hybrid Children/bass). These two guys, drummer and bassist, both decided to play guitars as an excuse for taking some holiday from their regular instruments and started to make some heavy riffs. Their original idea idea was to update the somewhat thrashy bay-area sound to todays standards, but not forgetting the legacy of bands (Testament, Voivod and old school Metallica, to name a few) they loved. Being a huge fan of speed/thrash metal PÄTKÄ (ex-HIM/drums) decided to join the band. TONY (Am I Blood/bass), a long-time friend and roadie for Hybrid Children, was immediately ready to take over the bass. Several guys, including Marco Hietala (Nightwish/Tarot), were considered as singers but eventually Alec decided to make his singing debut. The quartet recorded now a legendary 5 song demo tape called "The Batcave Sessions" with Janne Joutsenniemi (Stone/Suburban Tribe). They soon gained a small underground following and got support act gigs with bands like Children of Bodom, Sentenced and with Stone re-union at the famous Tavastia club. DIVINE:DECAY was also introduced to a bigger audience during a national MUCH MUSIC TV show JYRKI. The next obvious step for the band was to make more songs and find out a suitable record label. Their style of music wasn't actually the trendiest around so after a few backfired attempts the guys decided to make a record by themselves and then send the ”ready-to-go” package to the record labels. 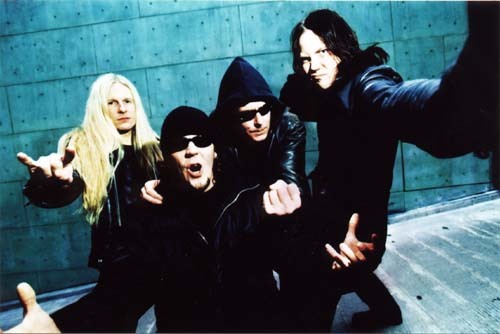 With this courageous tactic as their guiding light the band was ready (and determined) to start the recordings with Janne Joutsenniemi at the MD studios (HIM, Apocalyptica) and Crazy Crane studios in Helsinki during June 2000. During the summer of 2000 they also played at very first TUSKA-festival and Ilosaari rock with bands like My Dying Bride. Recordings of the album went smoothly, with many guest stars joining the band in the studio. With Janne Joutsenniemi producing and Mikko Karmila mixing, DIVINE:DECAY, the debut album got the raw but up-to-date thrash/speed metal sound they were looking for. The album was finished in August and searching for a record company started immediately. By the friendly support from Ewo of Spinefarm, they were given directions to Osmose Productions in France. Herve from Osmose was excited from the first hearing and was interested to make a deal. The band was exhilarated, but eventually it took almost a full year when the contract was finally signed. 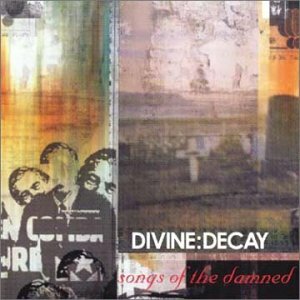 DIVINE:DECAY`s debut album SONGS OF THE DAMNED came out in spring 2001 containing 10 brilliant tracks. 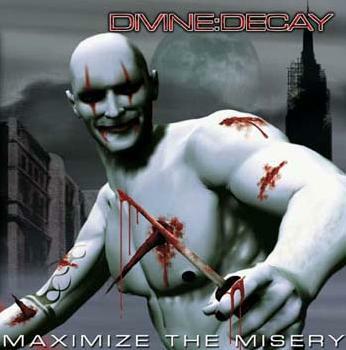 With the video for the song DIVINE:DECAY and Alec's over 80 interviews to the metal magazines and radios all over Europe got the critics from Rock Hard, Metal Hammer, Hammer and finnish mags Rumba and Soundi raving about the album and calling it as a triumph for a new speed/thrash metal era. DIVINE:DECAY made a few gigs here and there, mostly in Helsinki (bay)area as a support act for bands like Swedish thrashers The Haunted. Beginning of 2002 the band started to make new songs for their second album. This time DIVINE:DECAY concentrated on definding of their sound, with more speed and aggressiveness. The new album title was instantly decided, inspired by the late finnish comedian Pertti “Spede” Pasanen: MAXIMIZE THE MISERY. The album gained more depth and Alec's vocals were done with rage and fury. The “take no prisoners” guitar sounds and more linear drum/bass lines made Maximize the Misery's 11 tracks (and one hidden song) a brutal attack for the senses. The recordings were started at MD but eventually more time was spent at Crazy Crane studios. Loyal crew came aboard again, Janne ”Stone” Joutsenniemi took the producing helm, mixing was masterfully crafted by Mikko “Kerry” Karmila (Nightwish, Therion, Children of Bodom etc.) and mastering was made at Tarzan studios by Smoju. The Marvel-style inspired cover art for the album was made by Spinefarm's praised graphic artist Lauski (Children Of Bodom, Demigod). To raise their live shows to the next level DIVINE:DECAY asked guitarist Timo “stig666evil” Nyberg (ex-Gandalf) to join the band and he excepted the offer instantly gaining full credentials of the band. Now the band had 3 guitars for making the wall of noise. After the album release and few frantic gigs band's members started to work with their own projects, and Divine Decay was put quietly on hold. Despite the band's relatively short life span, it left it's genuine mark to Finnish metal scene. Both albums were higly praised in media and they marked as a beginning of thrashmetal boom in Finland. Both albums worked as an inspiration to many Finnish bands (like Mokoma) to look back and appreciate their thrashmetal roots.